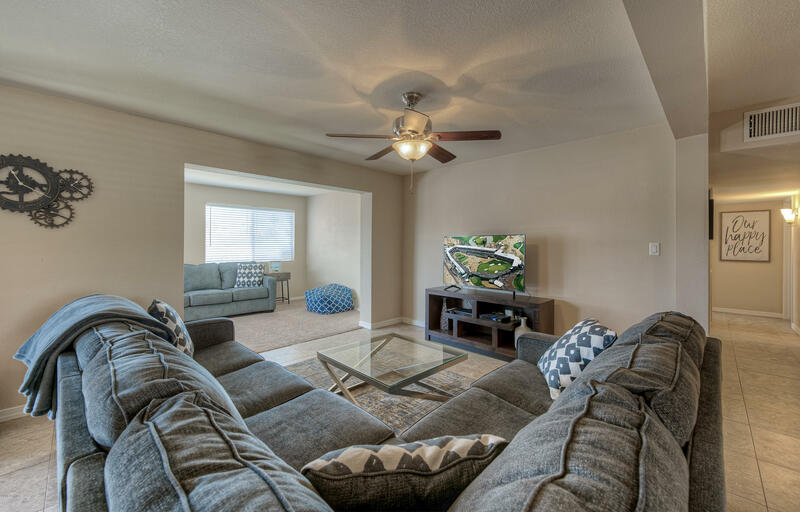 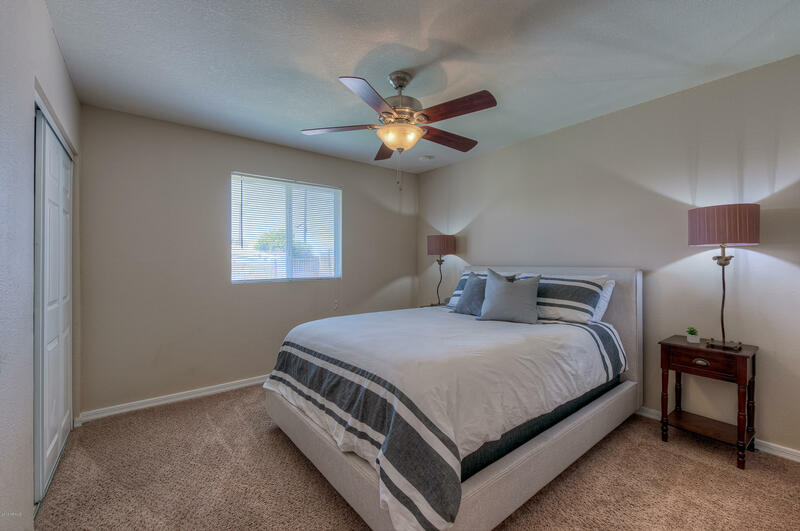 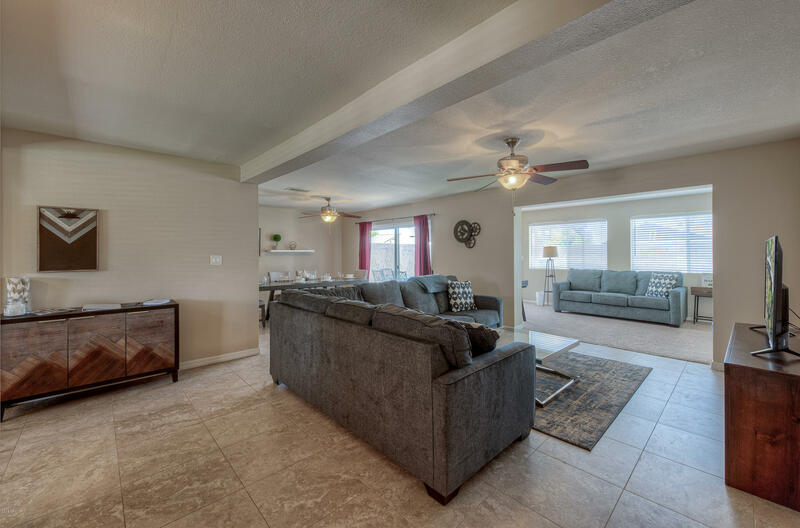 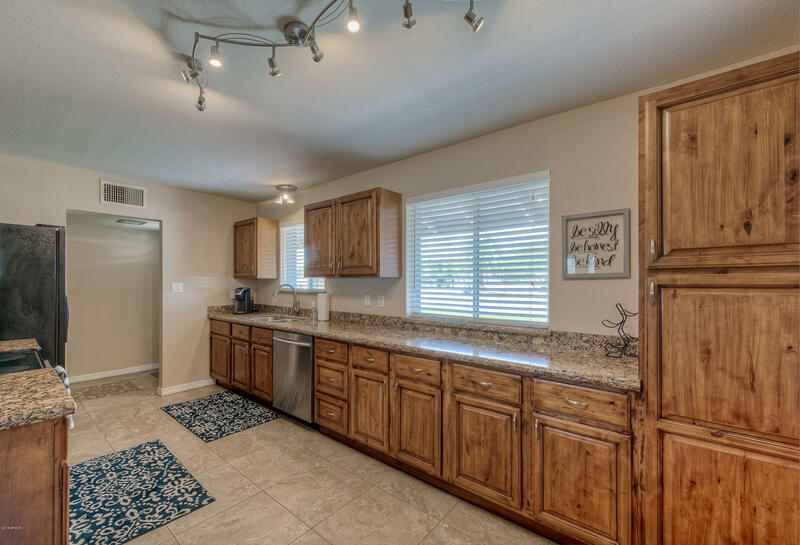 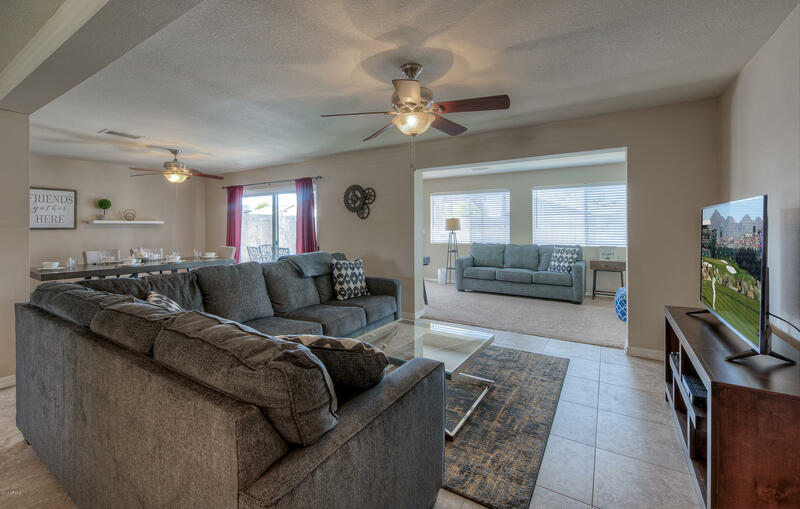 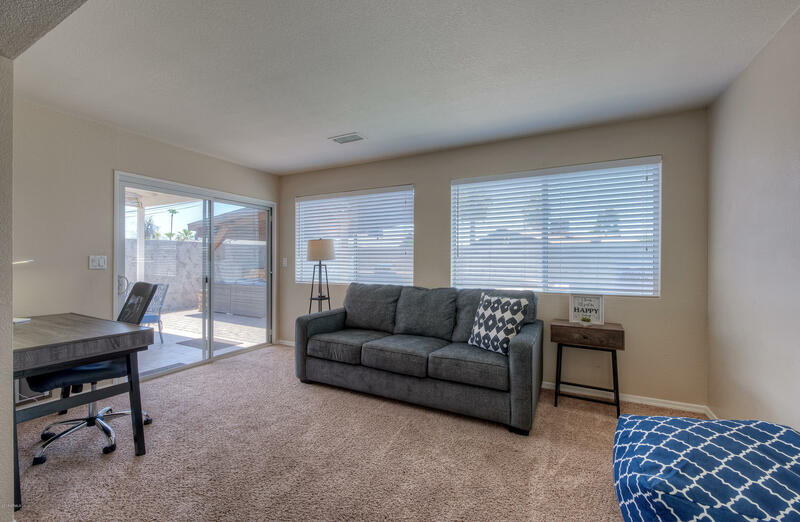 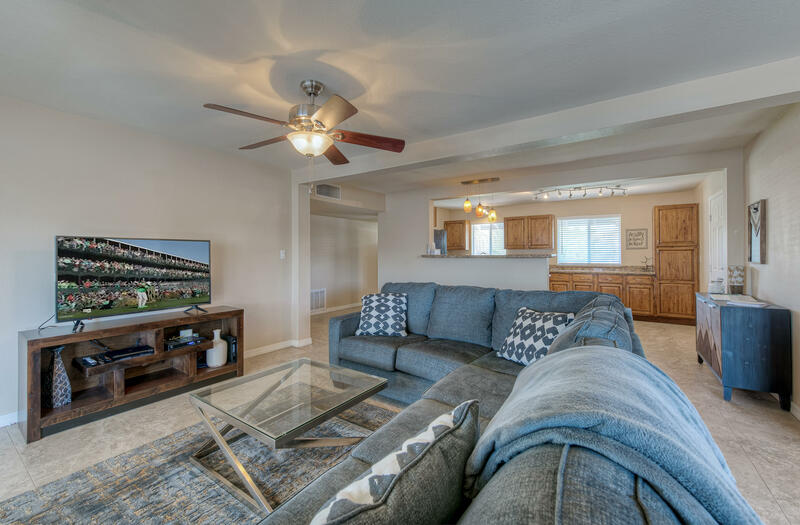 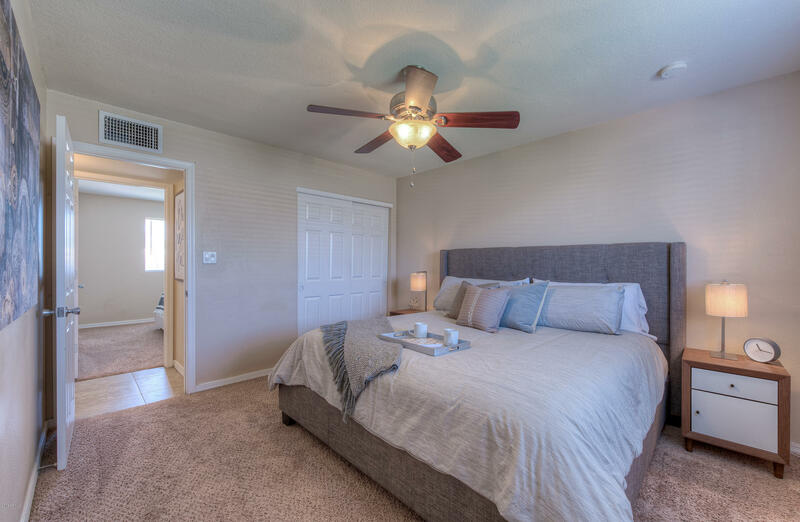 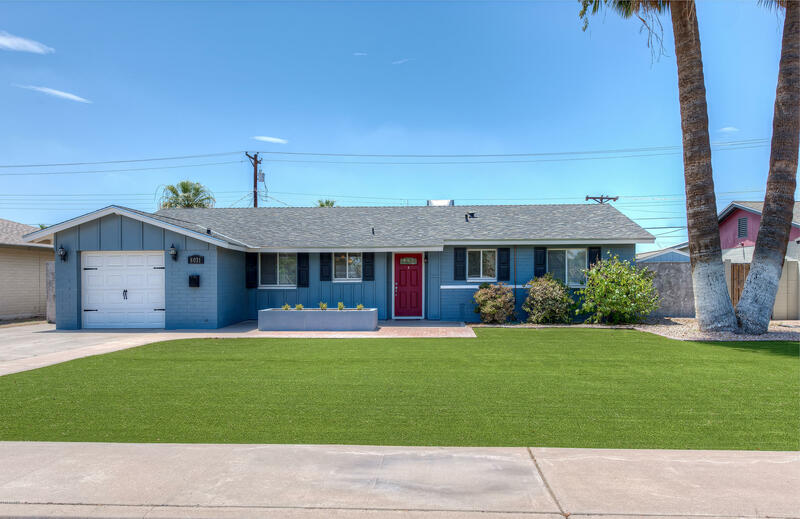 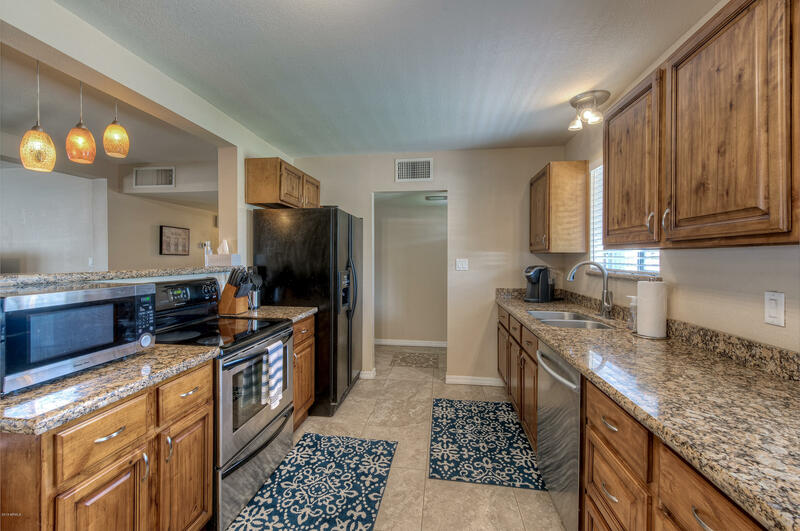 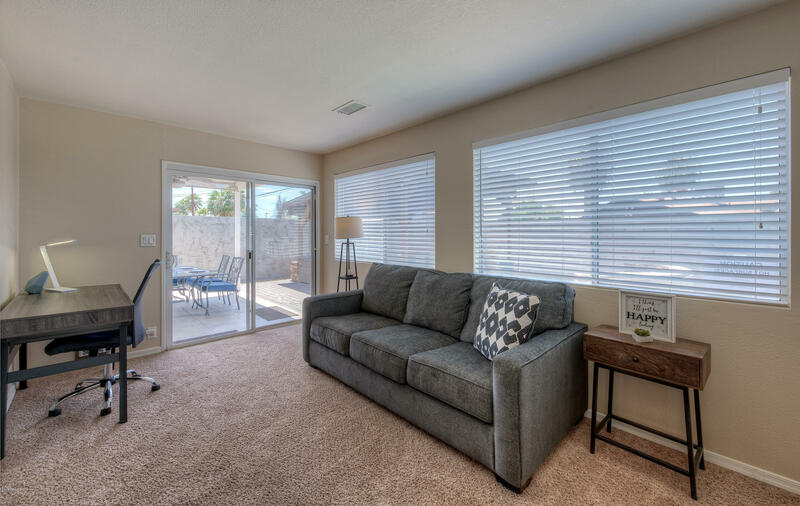 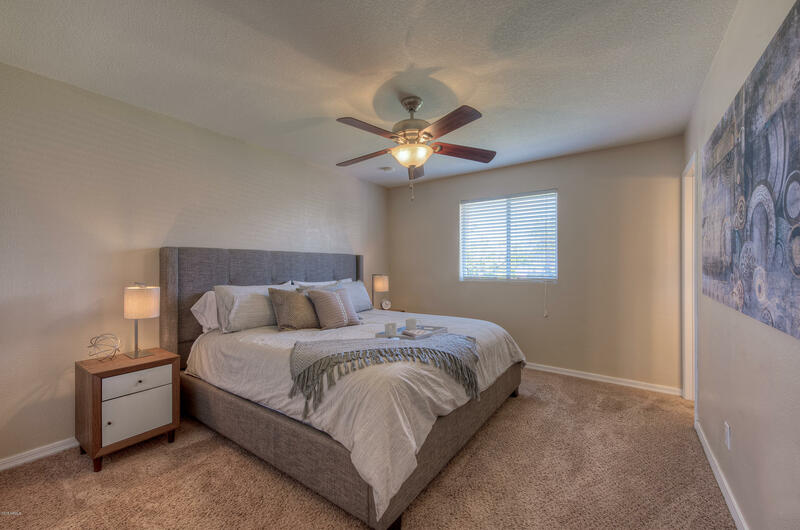 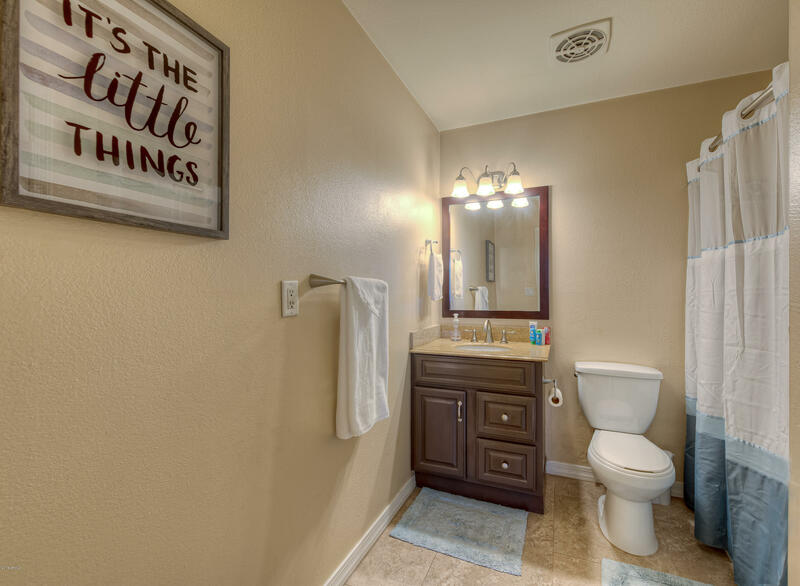 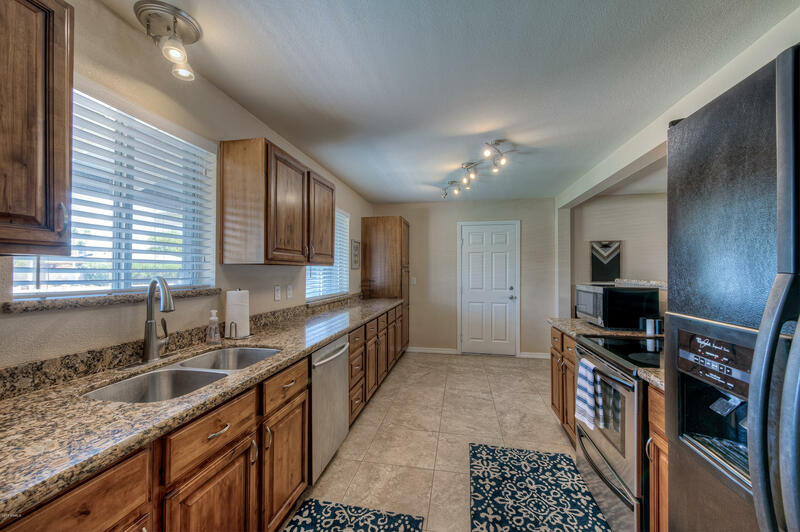 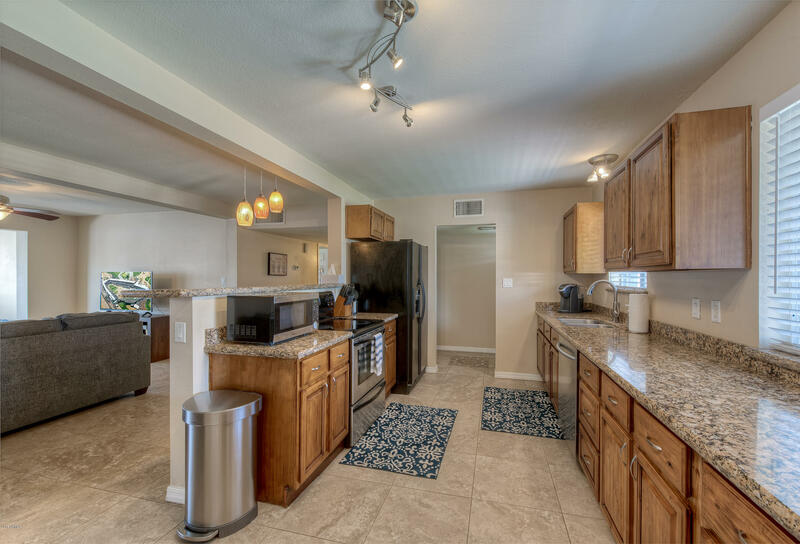 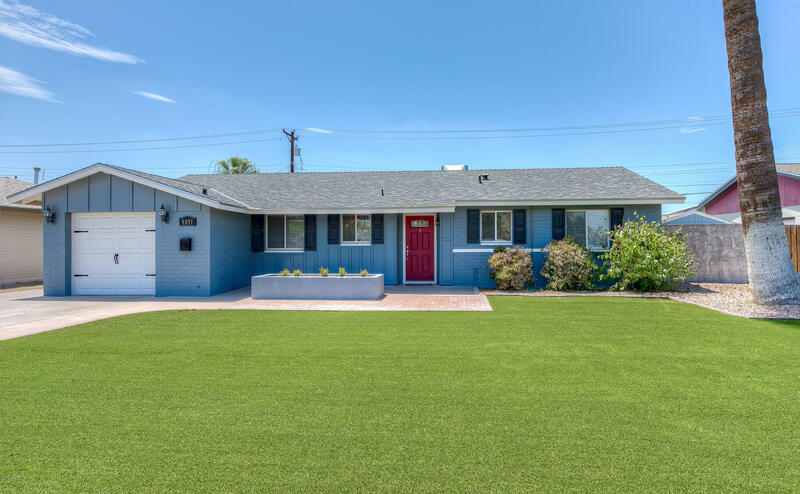 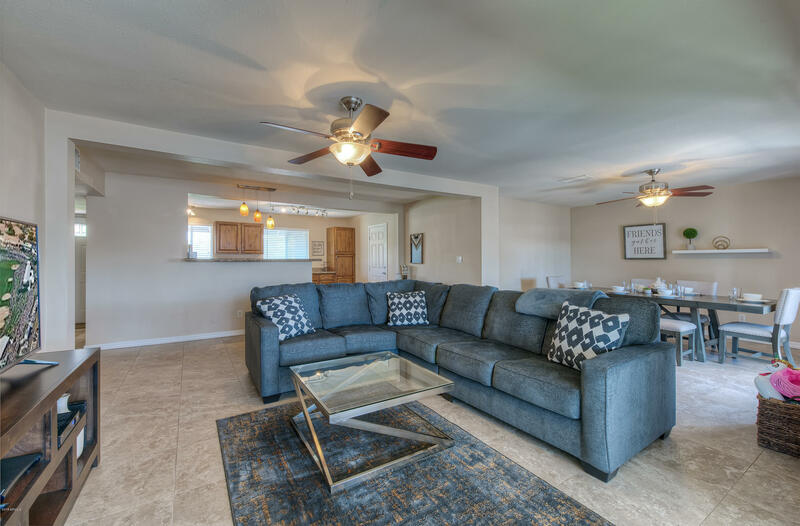 PLEASE READ BEFORE CALLING: Freshly remodeled & furnished (short term/nightly) home rental located in a perfect Scottsdale location. 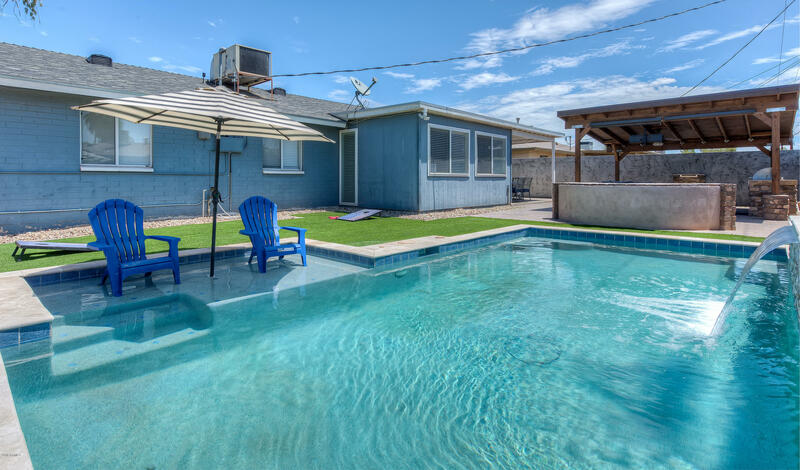 (**This is being rented nightly - $300/night for high-season**). 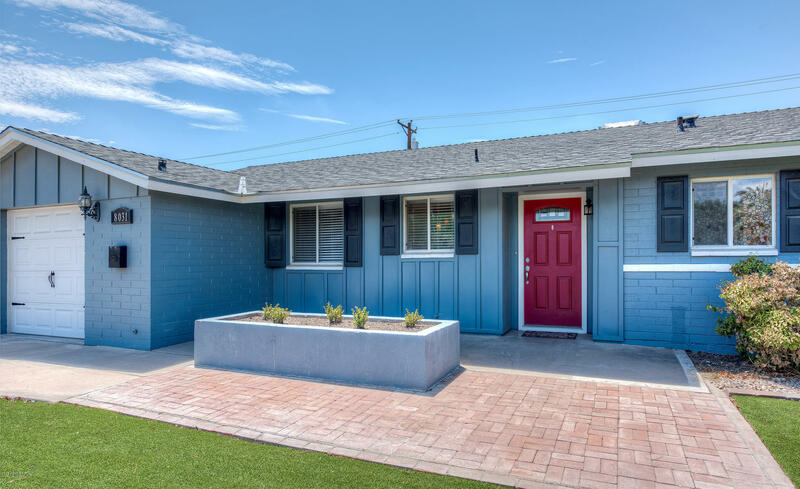 Home has been tastefully updated inside & out. 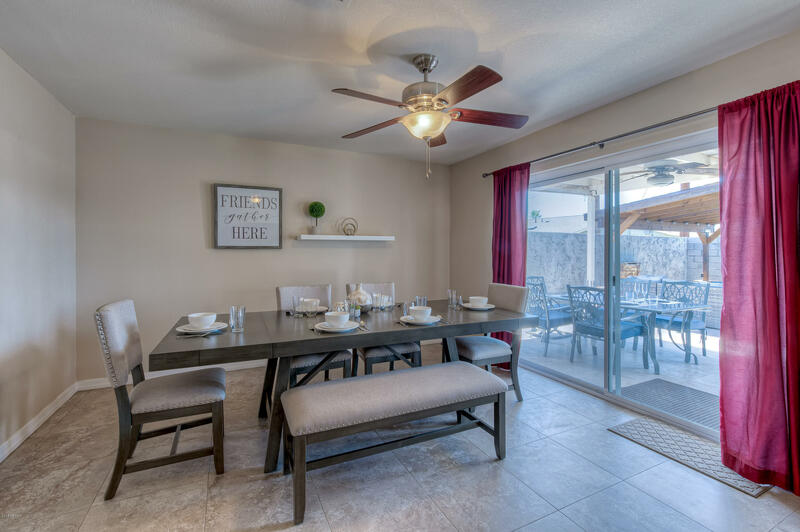 Get to Old Town Scottsdale in minutes by car, bike (located at house) or take the nearby Scottsdale Trolley service. 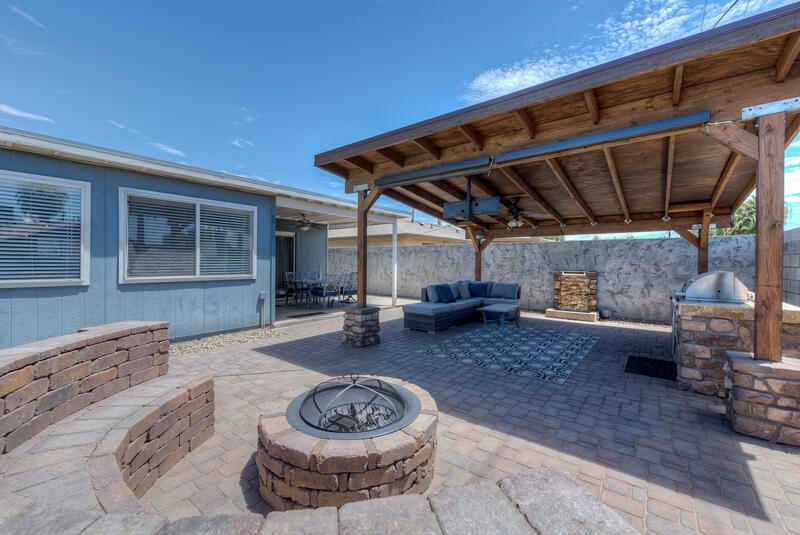 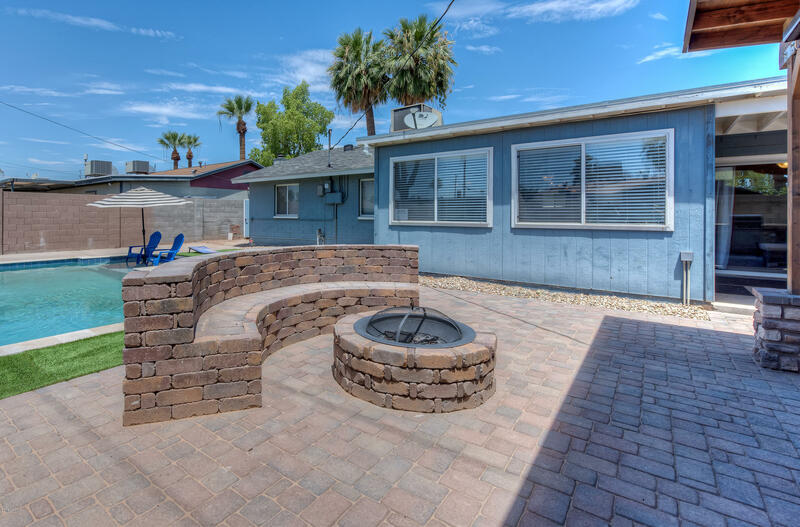 The backyard is a small resort with a large gazebo to shade a relaxing sitting area, BBQ Grill, and fire pit. 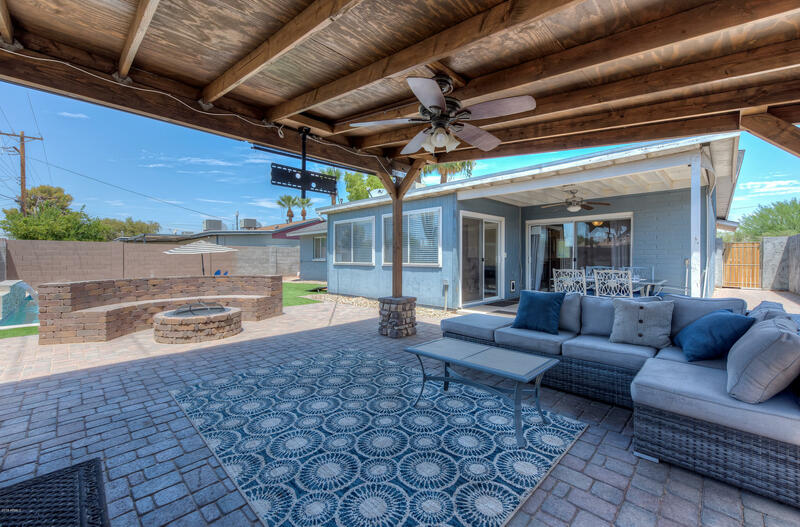 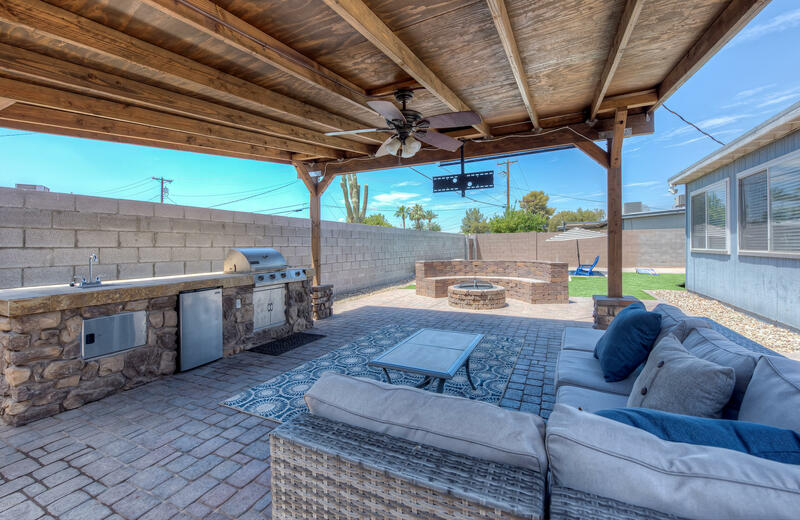 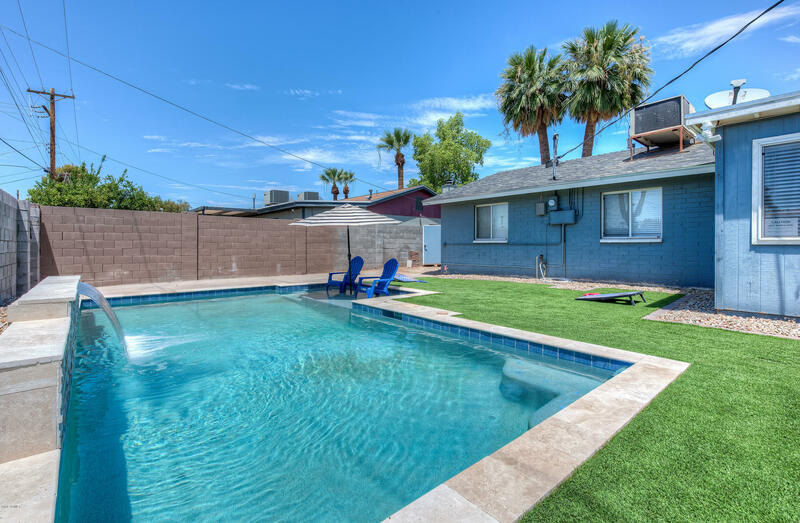 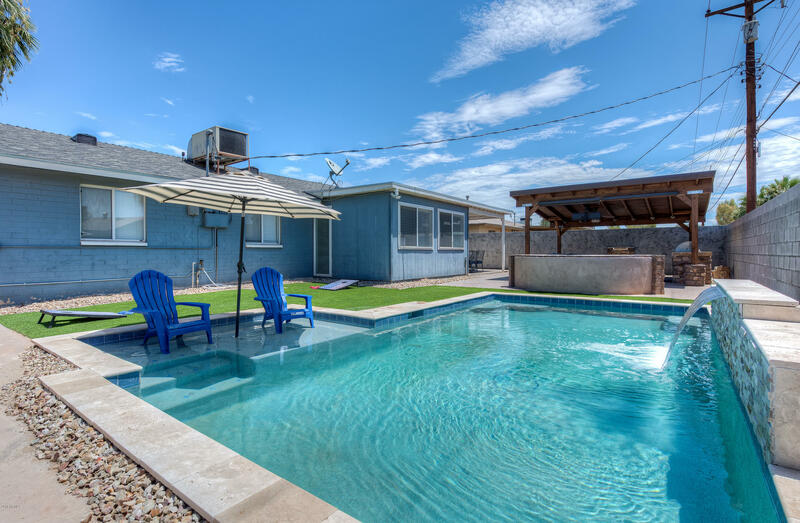 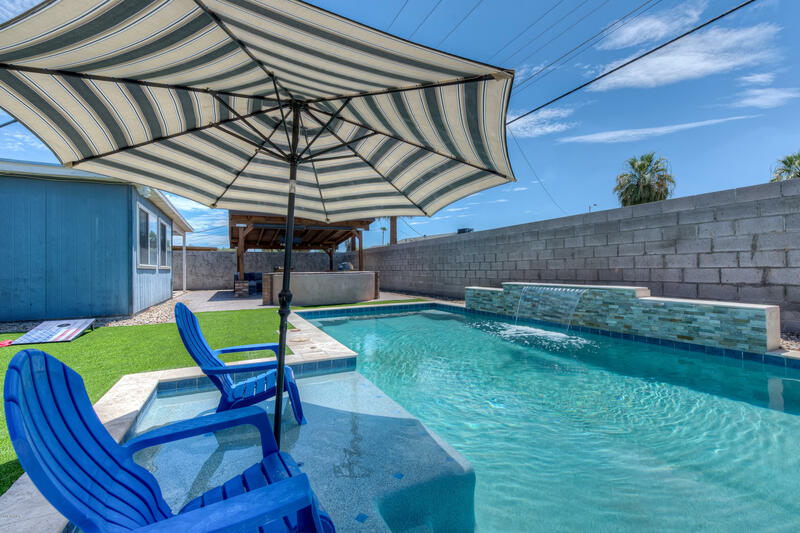 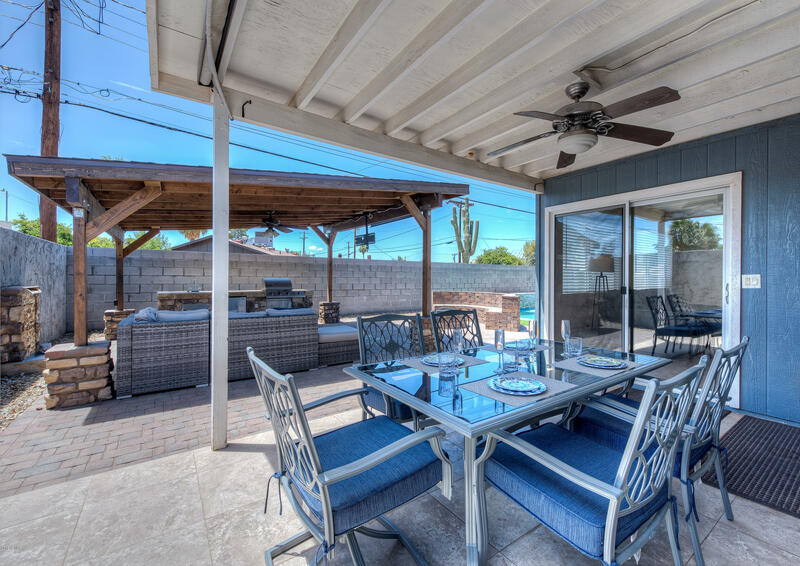 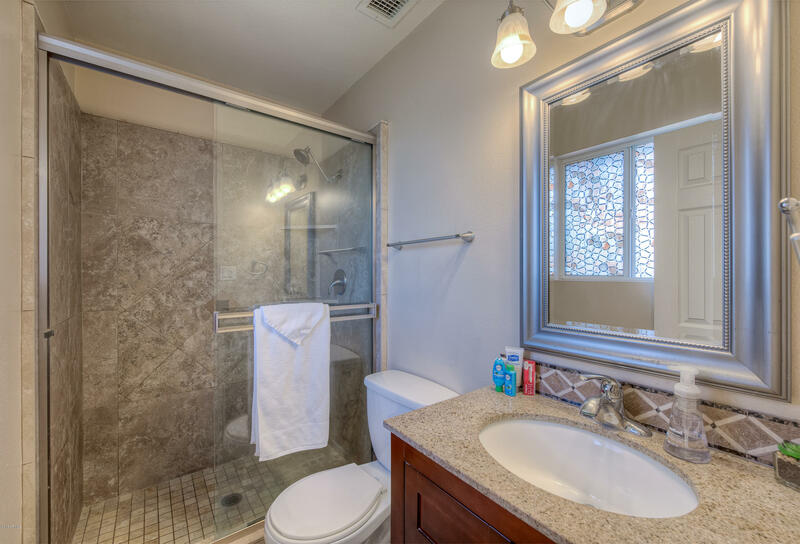 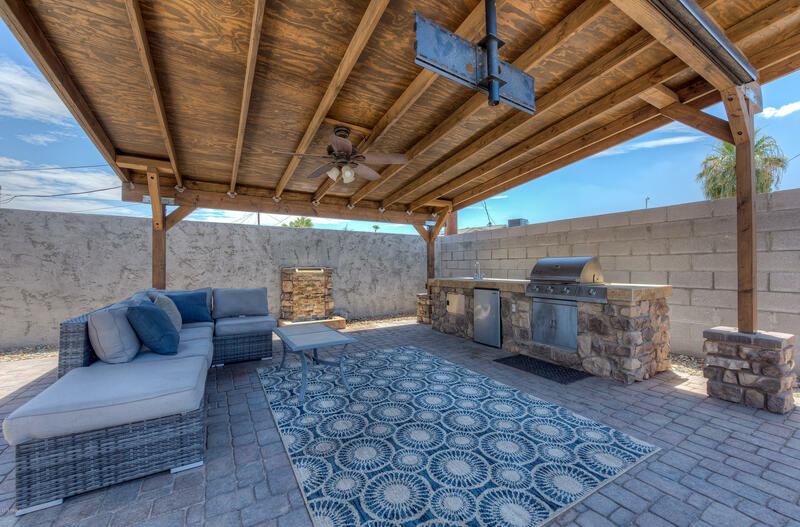 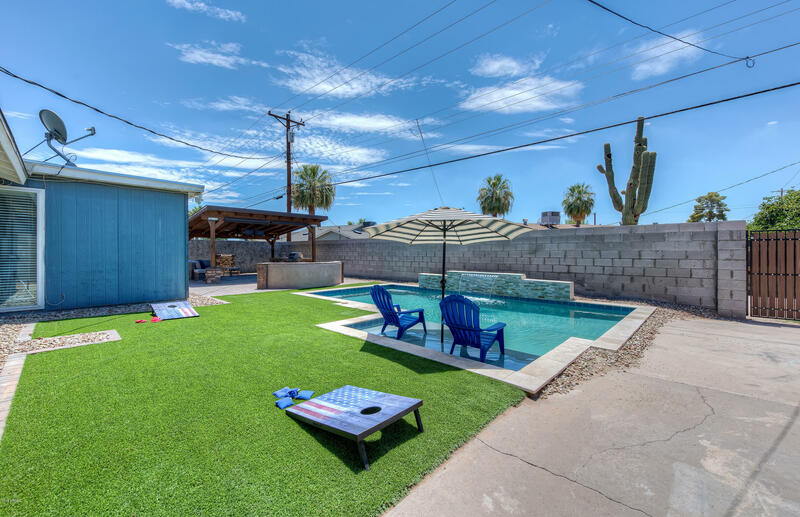 The home has a brand new sparkling pool with water feature and synthetic grass for those beautiful Scottsdale sunny days. 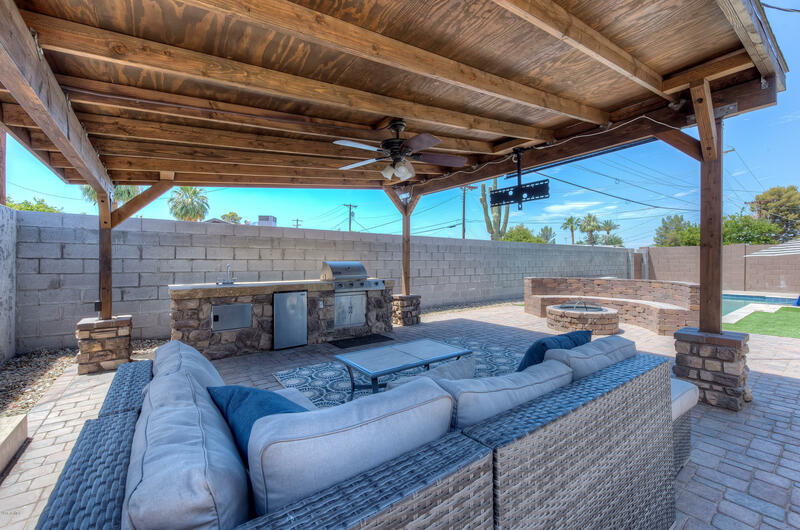 Bicycles are offered providing exercise while giving you the Old Town Scottsdale experience. 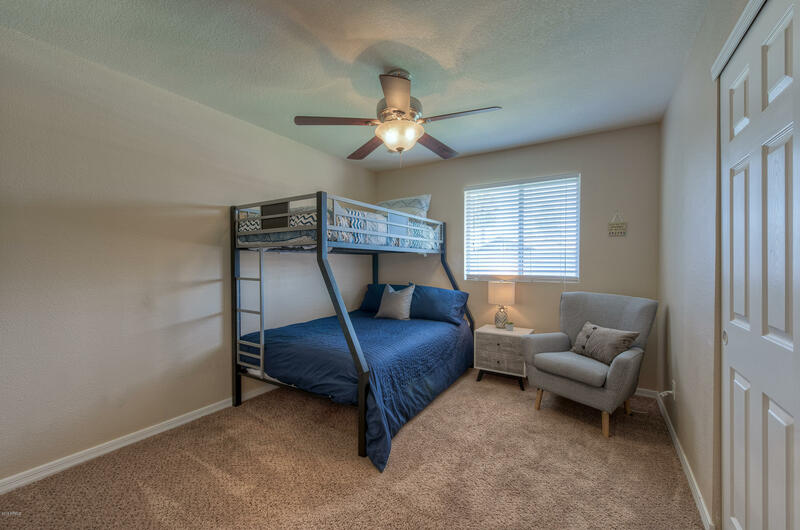 Inquire about nightly/weekly rentals now.